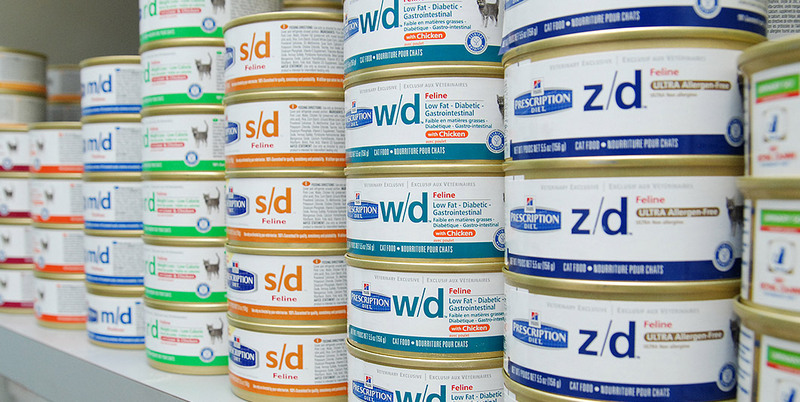 The food and treats you feed your pet are essential to their health, vitality and longevity. We also know the decision on what to feed and treat grows more difficult each day. Keeping your pet at a healthy weight is an important part of your pet’s health and vitality. A pet that is overweight or underweight may be experiencing an illness and may be more susceptible to disease and injury. Obesity is a complicating factor in heart conditions, arthritis, liver conditions and other ailments. We offer weight and nutritional counseling for your pet. We will discuss the various food choices that are best for your pet’s health and condition with you during your pet’s wellness exam. If you have any questions about the proper amount of food to feed your pet or have any other nutritional questions, please give us a call.